Chaplin Shirt in Bordeaux. 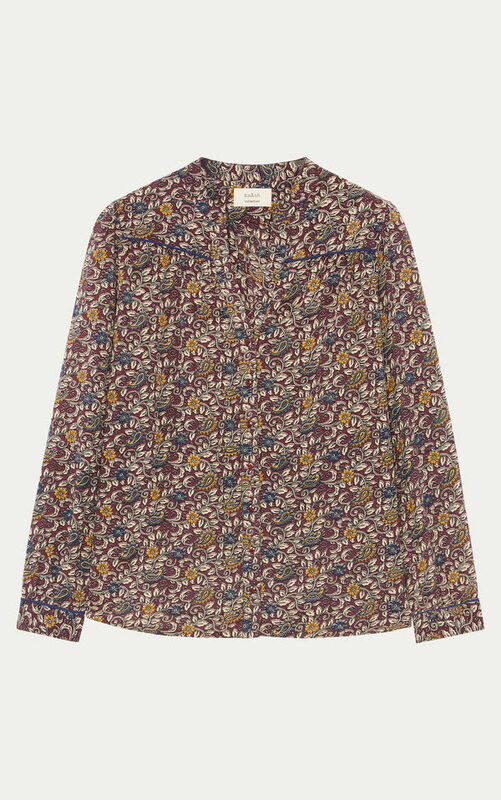 This ba&sh shirt blends autumnal colors and a floral print and a soft but warm fabric. Button through front with V-neckline and gathered arms. The solid piping at the front and back yokes, and cuffs add cooler trendier style.